I was reading in bed and I had just finished so I turned the light out. I had been in the dark for no more than a minute when I saw a green light illuminating my room and the room outside my door. I sat up and looked out the window and witnessed a green orb decending from above the housd to the second floor window adjacent to me. I could hear what sounded like large gears rotating even though the window and wall. The orb then entered through the window affecting nothing physically. The sound of rotating gears was quite loud at this point and I had been watching it move from behind what served as a temporary door. The orb moved half way into the room before I got up to approach it and had been no more than 10 feet from where I was standing. I slowly and quietly began to approach the door because I had wanted to see it up close and personal, touch it if possible. Yet when I got to the door and tried to go out the orb moved at incredible speed back through the window as if it were not even there and accended rapidly into the sky and out of sight. This event was not ball lightning yet I do not particularly expect anyone to believe me. This orb however expressed awareness and inteligence and when it knew I had been aware of it. It flew away. This is not my first experience and I am sure it will not be my last. NOTE: The above image is CGI. This MUFON case is under investigation by State Director Ken Pfeifer of MUFON Vermont. 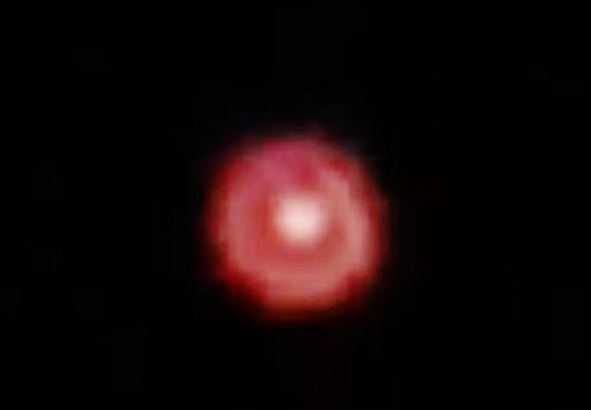 In the last week of March 2011, I was relaxing at home smoking a cig after a small meal when I notice a bright object in the sky over Newark airport NJ. At first I studied the object and observe closely because of its brightness. I was expecting a plane. 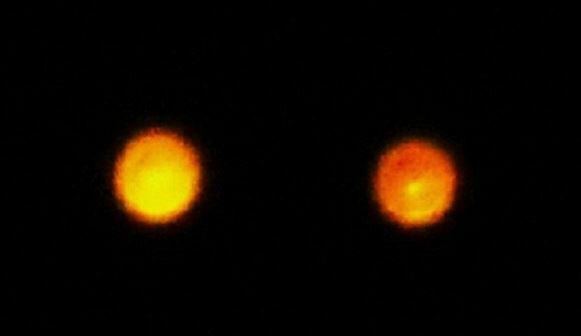 What I saw was a large orb in a circular shape and extremely bright acting in a bobbing motion and what it seem to do was move in a very short distance fast. I thought It was a plane at first but it’s speed and movements planes can not do. It was to big and to bright. It then moved a short distance further north and closer to Manhattan in the sky of 14th street and the Hudson river. Its movements were unlike any plane I see fly at night. Bobbing at times and at times staying completely still. No sound what so ever. I was a little excited but focused enough to realize this is something I have never experienced before. I live in a 24 story building with an open view of lower Manhattan east to west skyline. My windows face approx 270 degrees south west. I can view the open skies over Newark airport N J and lower Manhattans Hudson River. 14th street east to west view. I asked my friend who was standing behind me to view this light and its large bright circular orb shape. It seem like it was completely still. No sooner then I asked him what can it be it moved straight up counter clockwise and stopped at ten o’clock. It moved in a large space of the sky in a moment. To describe this in seconds is to much time. That’s right, It made a large question mark in reverse in the sky of NJ. What seem like just over the sky of 14th street Hudson river. I was jumping in my apartment realizing I had no recording device. It was parked at 10 o’clock bobbing slightly. It then moved from 10 o’clock to 5 o’clock releasing a ashy light before stopping. This ashy light glowed and slowly faded into the clear no cloud sky. At this point it started to move like a stone skipping on water moving very fast going east toward long Island. It came over west 14th street toward east 14th street’ over the east river toward Brooklyn and all the way out toward Long Island. I lost sight of this UFO as it passed directly over my window. I GOT A EXCELLENT CLOSE UP VIEW AS IT PASSED MY WINDOW GOING EAST. My windows face West only. The duration of this experience lasted about 3 to 5 minutes wide awake with company. NOTE: The above image is a rendering. The craft was dripping a greenish-purple syrup-like liquid. The liquid was everywhere and fluctuated like it was alive and changing to a different shade of greenish purple. The craft was humming like a bass guitar and had a slowly turning light. Most of the craft seemed buried into the cliff but vents, like a fish gill were on the back. The liquid got on my clothes and ate holes in them and burned off some the hair on my arms. There were three holes in the ship that may have been hatches that were not flush with the main body of the craft. There was another hatch the same width and diameter of the top hatch and it was kind of crooked to the side and it was half-open. I didn’t see any lights or anything coming out of it but I felt this… presence. It is real strange. I think the creatures calmed me. It was weird and I think they were trying to communicate with me, like, I guess, telepathically. The Corporal estimated the craft was ten meters in width and about 20 meters in length and shaped like something between an egg and a teardrop. The skin of the craft had bumps and notches and appendages on it. It was really organic and almost like art. It looked like something that could be made in a shop. It looked like it could have been handmade but out of what materials I do not know. It was definitely nothing like titanium. It looked like metal but there was no reflection. The sun was shining on it and I could see the different shades of the craft and it didn’t reflect anything. Suddenly the Sergeants were yelling at me to get the hell out of there. After we climbed back up, the Department of Energy people were there. They knew about it so I don’t know why we went there still to this day. But anyway, I was arrested and cuffed, both hands down. I had all my gear taken from me by men in black cammies who threatened me, subdued me, and put me on a cot. They had no nametags. At the crash site there were about thirty of these guys wearing hazard suits. I had been told aircraft were flying in and out of the atmosphere at mach ten plus. When you have objects that reenter the atmosphere, then stop on a dime, then turn around, and go exactly the opposite direction – that is somewhat strange. Meteors don’t do that. The craft was not from Earth. I knew that when I looked at it. I wondered if those facilities were built for the intent to track UFO’s and their cover was to track drug aircraft. They had laser range finders and all kinds of high tech stuff that I have never seen before. They [the laser range finders] looked like big telescopes and some sort of Command Center manned by a multi –national force. So these craft were tracked from this particular radar and were logged. I’m confident that when I saw the aircraft, it had been hit by something. Something had taken it out. Editor’s Note: Corporal Weygandt described a craft damaged by enemy action, either ours or an opposing alien force. His testimony on Page 274 of “Disclosure: Witnesses Reveal the Greatest Secrets” by Steven Greer M.D. is excellent and indicates lethal deadly force was being used against alien intruders during the Clinton Administration. We can assume this war continues. NOTE: The above image is CGI. 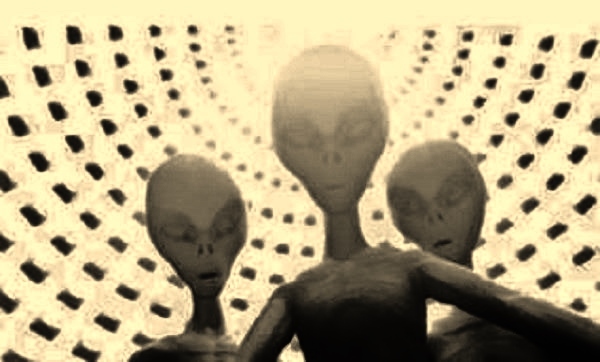 3 witnesses abducted onto saucer shaped craft with rainbow lights. Three teenage witnesses were playing basketball from 6 to 9 AM Saturday morning. Weather was clear and sunny and they were across the street from a fire station in Fairview, NJ. While walking back to his friends home noticed that the area was empty of cars and people when normally there would be “50 to 100 people in the park.” Noticed rainbow colors out of the corner of his right eye rainbow colors. When he looked he saw a shining silver metallic saucer with round tinted windows. He alerted his two friends who also saw the craft. He heard and felt whirring/roaring and his shirt was flapping as if in “a 50 mile an hour wind” but there was no wind. They were paralyzed and could not run. They arrived back at his friend’s home with no memory of walking there. Witness discussed the incident with two friends (both now deceased) and they had no memory of being on the ship as he did. He recalls seeing them on “operating tables” but he was standing approximately 30 feet away. Ship appeared larger inside than outside, possibly 400 feet across. About 25 creatures, approximately 4 feet tall were present with about 10 to 15 around him and the rest around his friends. The creatures were gray in color with large round heads and large black eyes. The creatures were touching him all over. They were speaking telepathically and were surprised when they realized that he could hear them. His mother had told him that there was psychic ability in their family but he had never really believed it. He asked why they were there. His impression was that they were friendly and curious and meant no harm. He believed that they were trying to help his two friends who both had heart problems and he believes that their lives may have been extended by the aid rendered on the craft. He remembers looking out the window and down onto the basketball court where they had been playing. He could see other beings moving about in long corridors. He remembers seeing the craft ascend after they had been returned. It moved up and to the right, then left, then up and away leaving a rainbow colored trail behind. When he returned to his home his mother said he seemed changed and he replied “it’s no big deal mom.” Before this report he had only confided this story to his two daughters because he did no believe that anyone would believe him. NOTE: The above image is CGI. This case is under investigation by State Section Director Bob Spearing of MUFON N.J.
Name to be with held by request, (Mrs. G, age 44) is from Redcliffe just north of Brisbane she lives with her 2 young children a boy 3 girl 9. UFOICQ was called on the Hot Line, by Mrs. G has she was little distressed by an event that took place Wednesday 10th at her home she, asked if we could come and talk to her. Mrs. G went to bed. She said it was around 10.15pm. “I was just about to nod off when I thought I could hear the TV going.” She said, “I turned it off! I’m sure I did. I got out of bed and went to investigate. I Could see some kind of flashing light but it was a soft light and it was shining down the corridor but I thought is it the TV. As I got to the end of the corridor I turned to look right where my kitchen door was and to my surprise I saw a “very tall” man. He was standing in the doorway and was dressed in some kind of long jacket. The colour was Tan (peanut paste colour), that kind of tan. He had long arms but I couldn’t see his face because the light was coming from behind him I wasn’t scared but I still. I wonted to scream funny ha! But the sound wouldn’t come out, Mrs. G said, I thought there was something standing beside me, but I couldn’t move to see it. Then zip, I was standing in a different position with my back to the front door. I thought there was something beside me. May be it was the dog! Then a voice said “come on, time to go to bed now.” Then I new it wasn’t the dog. Dogs don’t talk, do they? Then I became fully awake, sitting on the side of the bed. I don’t remember getting from the lounge room to the bedroom, but I do know that I was scared to death. I heard the TV again and then it turned itself off. That was it for me. I jumped under the covers and that’s where I stayed till the sun came up. I remember looking at the clock and it was just after 2.45pm, so where was I for 3 hours. NOTE: The above image is CGI. Sightings Recorded in Wales And Manchester; Aliens Hovering Over the UK. Though the existence of UFOs remain contested, it has been reported that multiple sightings have been recorded in the United Kingdom since last year, some of which may have been caught on video. Mutual UFO Network or Mufon, which prides itself in being “the world’s oldest and largest UFO phenomenon investigative body,” reported that 25 UFO sightings have been recorded in Wales while 23 incidents have been reported in Manchester since January 2015. “According the the people who say they have spotted the UFOs, the sighting range from a craft as wide as a street, to a white dot travelling three times faster than a jet,” South Wales Evening Post wrote in a news article. “There was a total of 476 sightings logged with Mufon in the UK between January 1, 2015, and the middle of February this year.” Aside from Wales, various UFO sighting videos were also purportedly recorded in Manchester. “They range from a sighting of five metallic objects flying in triangle formation, to a ‘red-green ball flying diagonally at great speed’ – and a large square object which flew over the witness’ roof,” Manchester Evening News wrote in a news report. “The figures were revealed after the M.E.N. published footage of a mysterious UFO spotted ‘hovering’ in the skies above Tameside,” the news article continued. 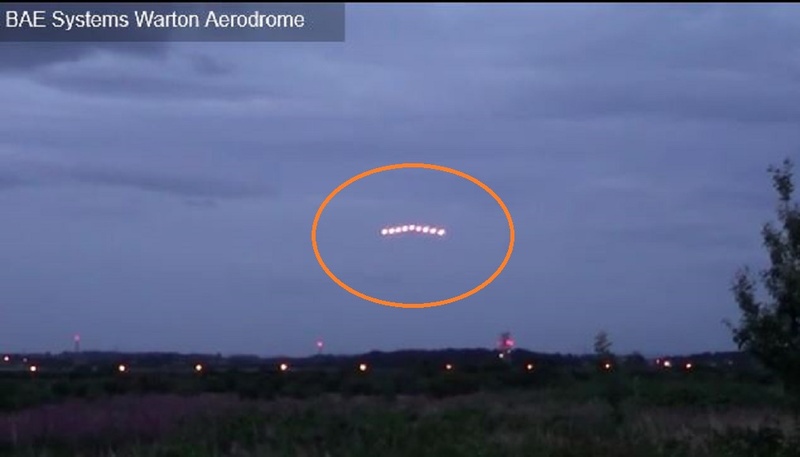 “Footage shows an unusual flying craft streaming through the air above Ashton-under-Lyne.Another video showed another mysterious object spotted above Manchester Airport, with unusual white lines streaming through the air.” With multiple sightings recorded over the past year, does it mean that UFOs are hovering over UK? Aside from the argument that the reports could never be verified especially due to lack of video or photos, it could also be noted that the UFO sightings have not only been recorded in the UK, but also in other parts of the world, including America. 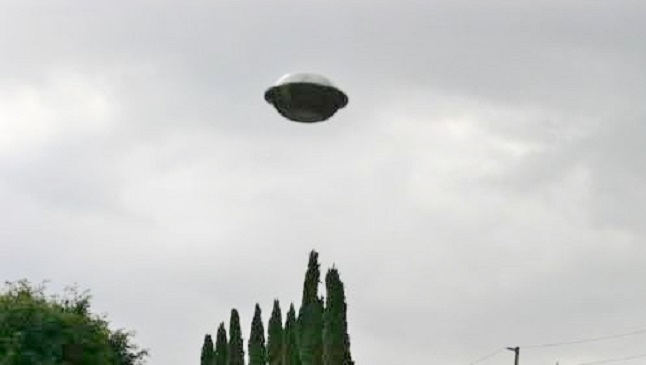 In fact, ABC News previously reported that 1,177 UFO sightings were reported to the National UFO Reporting Center or NUFORC from January to April 2015. Despite numerous reports, many UFO hunters choose to discredit sightings that have are not backed up by videos or photos. KEEP your eyes on the skies over South Devon – a UFO has been spotted. 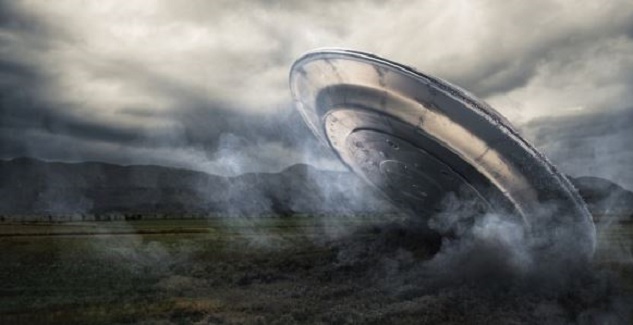 The unidentified flying saucer shape was spotted over Newton Abbot in January, and has been described as moving through the skies before vanishing from view. National newspapers reported that John, from Devon, took these photographs of the the shape which had a domed top hovering in the sky. John has shared his picture online, and described his close encounter with the craft to the Daily Star. 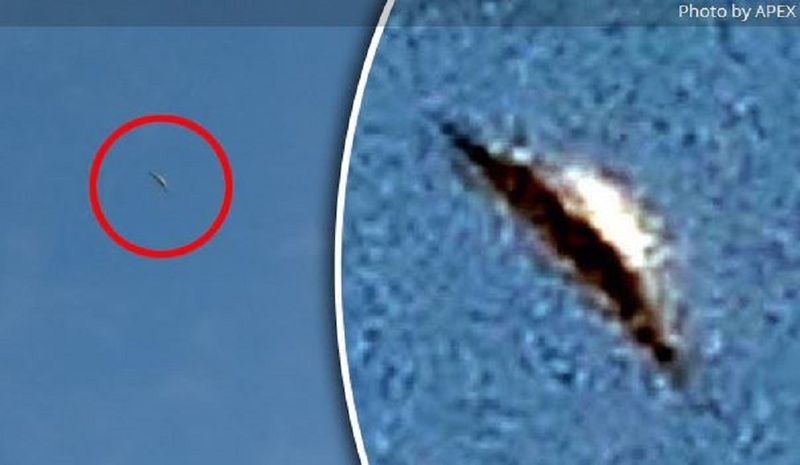 He told them: “I had an incredible sighting on the 19th of January 2016 of a flying saucer. I got a very good look at this alien craft and all I can say is WOW! “I was sky-watching when I noticed a black object far off in the distance in the direction I was looking. “The flying saucer turned back in the direction from where it had come from and then disappeared off into the distance and out of sight. 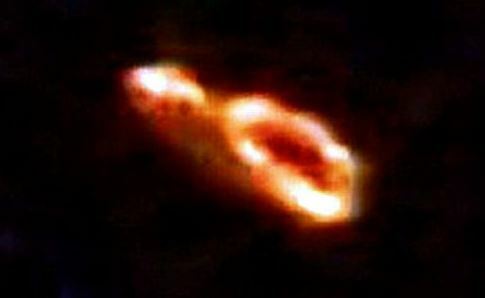 “The black object got bigger as it got closer. I could clearly see that the object was in fact a flying saucer and I could see a dome on the top of the saucer.” John spotted the UFO on January 19 at 1.10pm, and says he is certain the shape was an alien craft. Herald Express, Zoe Stevens and John Mooner photographer. My main purpose is to see if anyone else witnessed what I did, if someone could contact and let me know that would be great, also I could fill you in on better details, sorry for the spelling and grammar mistakes in advance. It was between the dates of august 5-10 of 2014, somewhere south bound between Savannah GA. And Jacksonville fl. On 95 south, sometime after midnight, no later then 1:30 am . The whole thing is strange , the sighting and my reaction to it, plus the event’s afterwards. So I’m driving south bound on 95 there is no traffic from either direction and above the highway is a bright white light. At first thought it might be a helicopter or something, but quickly realized that is was not, the light was very bright. I turned my radio off, and began to slow down thinking something had to be going on up ahead on the road or air. 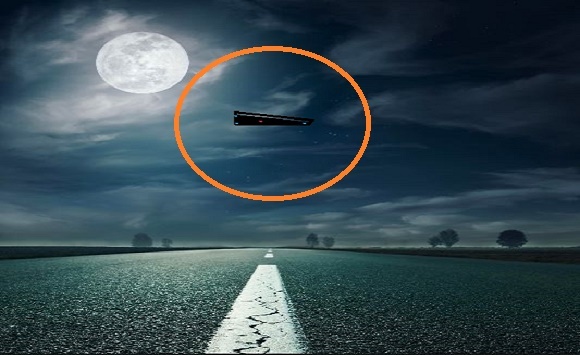 As I got closer the light just got bigger and brighter, too blinding to make out what it could be, but as I began to drive under the light I could see the underside of a large airplane sized triangle with three neon blue colored doughnut shaped lights. I was looking up through my windshield of my car while passing under the triangle and i could see this thing very clearly, it was only right over the highway directly over my car, but when I was driving towards it before going under it, all I could see was a bright light, never expected to be passing directly under a triangle. I immediately pulled over and by the time I came to a full stop and looked back and up it was gone, not a trace, and strangely I just drove off . I felt very calm, but at the same time something was not right. I felt like I was being watched or followed, just very strange feelings, and even now after all this time, a lot of strange things, ill talk more about that stuff another time, just a lot of unanswered questions, and feelings I cant begin to explain in text, so just have to report this in hopes of answers, and other witnesses. .. sincerely Christopher. NOTE: The above image CGI. Researcher Warren Aston has just released details of an amazing UFO cover-up attempted by U.S military personnel based at the top-secret underground Pine Gap base in Australia. Details have now been released of how two Australian policemen unwittingly foiled an attempt by two U.S military personal to cover-up UFO activity over the nearby town of Alice Springs. Many Alice Springs residents reported fast-moving lights flying over the central Australian town on the evening of 26th November 1996. Police were numbered among those making reports of the strangely maneuvering lights. At least one video of the object was captured by a policeman and is now undergoing analysis in the U.S. A little over an hour later that same evening, two policemen on patrol (who have requested anonymity) witnessed a number of hot-air balloons slowly bobbing over the town. 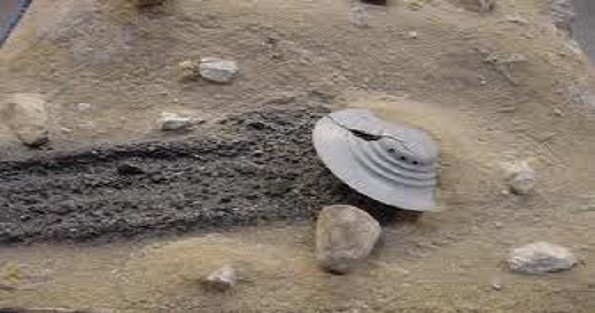 At the same time a call came in asking them to investigate suspicious activity by a car on an isolated back road in the dessert east of the town. Suspecting a link with the balloons over the town, the two officers sped off and they quickly apprehended a station wagon full of plastic hot air balloons in various stages of construction, including one on the side of the road ready to be sent aloft. The two men in the vehicle had North American accents and at first refused to answer question, but when threatened with arrest they reluctantly produced ID cards identifying them as personal from the massive super-secret Pine Gap facility located nearby. Under agreement between the Australian and US Governments, personal at this American-run base is virtually immune from legal action. Eventually the men, claiming to be merely a geologist and an engineer, were allowed to drive off into the darkness, leaving behind many unanswered questions. Why would staff from a secret American base in Australia be involved in setting off hot air balloons outside a nearby town? . Clearly, they were attempting to confuse the UFO sightings made earlier that evening. Where they then going to claim that these reports were only hot air balloons? And if so, as seems likely, WHY? Pine Gap base, hidden in the remote and geologically stable Australian about back, has long been linked to covert U.S military/ Intelligence activity concerning recovered Alien craft and secretly developed military programs. Among other things, Pine Gap has been linked with white disc’s seen flying from hidden access points on the base, and with the beams of “energy” fired into space which caused a fast moving UFO to reverse it’s course in full view of the shuttle Discovery’s cameras in 1991. This latest development will do nothing to quell the growing suspicion that PINE GAP is crucial, perhaps even central, to these covert efforts. Red fog in room, blueish chrome disk outside of front door, buzzing and pop noise, weird behavior from wife and dog. I was awoken from sleep by a presence in the room last night. When I opened my eyes there was a red fog engulfing the entire room. I tried to wake my wife up but she wouldn’t budge. Not even my dog who was sleeping on the bed would wake up. Just like a vacuum, I watched the fog get sucked out of my bedroom door (which was open). I was extremely scared but chose to run to my front door. There was a slight buzzing noise coming from outside (sorry I’m getting goose bumps real bad just thinking about this). I opened the door and looked up. Not 50 feet above the ground was a blueish chrome disk sitting almost motionless in the air. This was at night and it’s weird how I was able to see the distinct blueish chrome color of the disk. There was a slight wobble to it also. I felt like something was staring at me. The disk was about 30 feet around and had a small “base” on top of it. There were no lights or markings on it. It sat there for about! a minute or two (I think but it’s almost like I had been staring at it for 15 minutes) and the buzzing noise stopped. There was a pop that came from it (there go the goose bumps again) like a balloon popping and it slowly lifted straight into the air. When it got about I’d say 100 or so feet up it faded out of sight into nothingness. I ran back into my house to check on my 2 year old son and he was fine. ((NUFORC Note: We spoke via telephone with the source of the report, and he sounded to us to be sincere, and sober-minded. We suspect that he is an excellent, and reliable, source of information. PD) I was able to wake my wife up and asked if she had seen anything. She got teary eyed and without saying anything went immediately back to sleep. My dog almost looked sad and went back to sleep as well. This by far is the weirdest and unnerving thing I have ever witnessed in my life. I’m am scared s**tless since last night. While I have seen “UFO’s” in the sky before and reported them on this site, this again by far has confirmed my belief that something else is out there. I know I wasn’t dreaming, I don’t do drugs, I wasn’t on any medication, nothing. What the hell happened last night? NOTE: The above image is CGI. One evening after I had gone to bed after about 9:30 pm. My bed lies beside a largish window that was level with the top of my bed. Something stirred me and I sat up in bed because just outside my window I saw this figure. I’d never seen anything like it before but I now believe it fits the description of a Grey. I have a clear recollection of thinking, This is strange. It appeared to be floating right outside my window. It moved and started moving its hand through my non-opened glass window. It touched the right side of my body at which point I got very scared because I felt intense pain. I thought, How could I be feeling such pain in a dream? I have no recollection of time after that moment however within the week after, I became very ill and had to be admitted to the hospital. All of this is verifiable. I was diagnosed with a collapsed right lung and was in the hospital for three weeks which, while in the hospital, I became the recipient of much attention from doctors and medical students as I could talk and communicate. I had lost all knowledge, was unable to spell or do basic math but I could talk and communicate. I could not remember my past life but I knew my name. Now, at the time, my school was in the process of changing from the imperial system to the metric system, both of which I had no knowledge of. My parents and teachers at the time were concerned but were astounded at the rapid rate I was picking up the metric system. And an unusual ability to retain any knew information I was learning. Now, my last story…. I was born in Tasmania and had left to live in Melbourne, Australia with my wife. Often after I had left work and had come home for the evening, when it is getting a bit dark – my home is a little off the flight path of the airport and as I would step out of my car, I would stand there and watch the passenger planes heading south for Tasmania and thinking about my parents, and home in Tassy. One evening when I was doing this, I believed I was watching a passenger plane heading to Tasmania. I believed this because the lights were just like the passenger planes I watch, one white blinking light in the middle and a red light on each wingtip. However, I could only see the lights heading in the direction I was expecting, when the two red lights I was looking at rotated in a clockwise direction, 360 degrees around the central white light to which my jaw dropped in confusion. I then thought, Wow, this must be an RAAF plane doing some stunts and showing off. Then, all of a sudden, the lights separated. One red light went east. One red light went west. And the white light went straight up and completely disappeared leaving me stunned. Well, I’ve done some thinking about it and the only conclusion I can come up with was that this was obviously three separate objects under intelligent control initially pretending to be a plane for whatever reason. 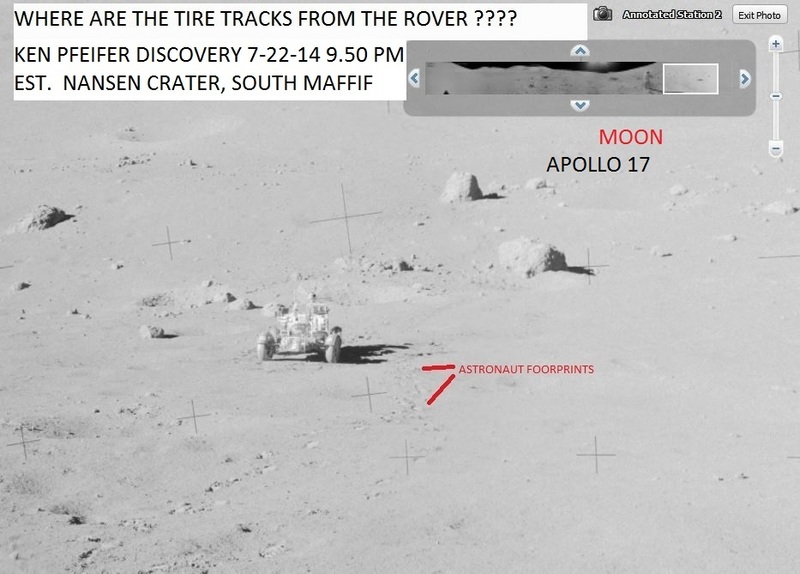 It was either a secret project by the military or from somewhere else which alludes me.” NOTE: The above image is CGI. I was driving home from campus, it was right after 8:30 pm, and I was on the road I live on, which is a back road, about 5 miles outside of the military base. In the sky I saw three bright lights to my left, overtop of the trees that line the side of the road next to a farm. I approached going about 45 mph, I thought it was weird how low that plane seemed to be, but I thought somehow it must be off in the distance. I realized this couldn’t be because the three lights were too large. As I got even closer I realized that whatever it was, it was right above the tree line, and did not appear to be moving; just hovering in its place. I started to slow to a halt, as this was a back road and I was the only car on the road. I stopped at the bottom of the local farm’s driveway, at the most only 40 feet away from the flying object. I was scared for a second because I knew they saw me, and they knew I was slowing down to get a better look. Through the tree line, I tried to identify the tail, which would have to be the back light, because the ship was facing the road at about a 45 degree angle, with the two bright lights on either side where I would have thought the wings would have been (triangular in shape) were facing toward me at an angle. It did not appear to be a normal plane, nor was it behaving like any plane I have ever heard of before. This was about 5 miles outside of Joint Base MDL, on the Fort Dix side of the base. Even though I live so close to the base, planes are not that common above this road, at least not directly above; the air fields are not on this side of the base. This ship was about 3 to 4 stories off the ground, right above the tree line. I grabbed my phone to try and get a picture, but I started to turn around since I passed it slightly to get to the driveway, and I couldn’t turn and use my phone at the same time. In the minute it took me to turn around, I could still see the brightness cast from the three lights. This is a back road with no other lights, which is how I knew it was still there. As soon as I had fully turned around to see it straight on again, it was gone in a second. I did not see it move or accelerate at any rate. It went from hovering in its place, to gone. I was in complete shock because I was still trying to convince myself that this was a small plane. I drove forward for maybe another 30 seconds before I stopped my car to search the sky. I saw faint lights way off in the distance. I searched the sky for any other lights to make sure that was it; it was cloudy tonight so I hadn’t seen any stars or other planes moment before viewing these lights. I knew that those three lights were the lights I was seeing off in the distance. It had to have been at least 2-3 miles away, but most likely a few more. I felt like it only sped off because I had stopped so close to it and it did not want to be observed. I sat in my car for a few seconds still in disbelief, trying to come up with another explanation for what I saw, but I couldn’t. No plane, or military plane comes off base and decides to hover over a random line of trees; I’ve never seen the military run any tests over us before, and I’ve lived here for over 8 years once my dad retired as a high ranking officer from the military. The whole sighting lasted under 5 minutes, and once the lights were barely visible I turned back around and drove the 1/4 mile home. I went straight in to find my dad and ask him what that space ship could have been if it belonged to the military. He said maybe a drone, but it was the size of a small plane and hovered in the same spot for at least 2 minutes that I observed, but I have no idea how long it had been there before I came down the road. I called my sister to tell her what happened, even though I thought I was going to sound insane. To some level I think she thought I was just because this was such a freak sighting, but she told me that she had seen lights in this area that were there in one second, and gone in the next. No drone I have ever heard of can disappear from sight in one second and appear far off the distance in an instant. I have observed mysterious lights before myself in the past, but nothing that was this unexplainable, or right in front of my face. This occurred right before my eyes, and there is no denying that it was there. Whatever I saw was real, and I don’t think it wanted to be seen. NOTE: The above image is CGI. This case is under investigation by Chief Investigator Ken Pfeifer of MUFON N.J. Multiple NASA personnel have made some pretty shocking claims about the Moon. George Leonard, a NASA scientist and photo analyst who obtained various official NASA photographs of the Moon, many of which he published in his book titled Somebody Else Is On The Moon, is just one of these personnel. Although the photos are small in size and their resolution is not up to today’s standards, they show details of original prints which were huge. While Leonard published the identifying code numbers of the photos in his works to back up their source, we still can’t say for sure that they were real, and their poor resolution only makes matters worse. Far more compelling than these photos are his statements about what was found on the Moon, along with his verified NASA credentials. 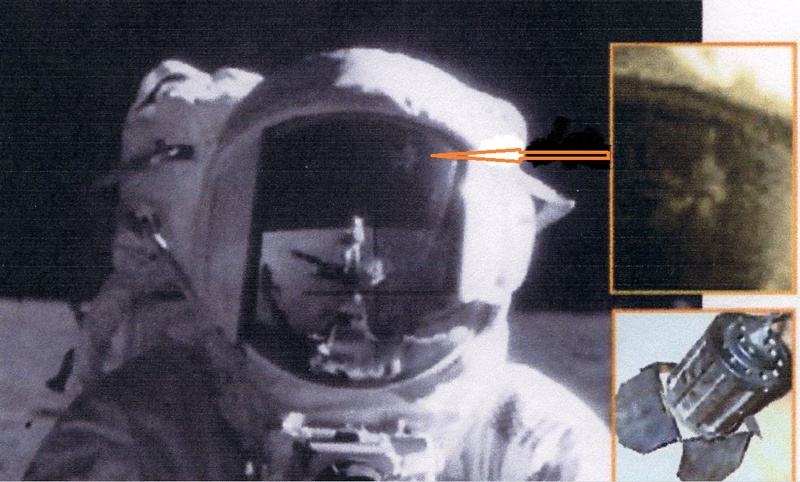 Leonard was not the only one with a credible background trying to tell the world the truth regarding the Moon and the photos that were taken from the Apollo missions. “Ladies and gentlemen, my government, NASA, which many of us in the United States say stands for Never A Straight Answer, proceeded to erase 40 rolls of film of the Apollo Program — the flight to the Moon, the flight around the Moon, the landings on the Moon, the walking guys here and there. They erased, for Christ’s sake, 40 rolls of film of those events. Now we’re talking about several thousand individual frames that were taken that the so-called authorities determined that you did not have a right to see. Oh, they were ‘disruptive,’ ‘socially unacceptable,’ ‘politically unacceptable.’ I’ve become furious. I’m a retired Command Sergeant Major. I was never famous for having a lot of patience. .
.The quote above is from Bob Dean, who was speaking at a conference in Europe. Bob is a retired US Army Command Sargent Major, and he also served at the Supreme Headquarters Allied Powers Europe (SHAPE) of NATO as an intelligence analyst. When it comes to the UFO phenomenon, we now have public disclosure of thousands of documents along with hundreds of credible witness testimonies. It’s also important to note here that the Russian government recently called for an international investigation into the U.S. moon landings regarding the disappearance of film footage from the original moon landing in 1969. They are also referring to the (approximately) 400 kilograms of lunar rock that was obtained during multiple missions between 1969 and 1972. Leonard argued that NASA knew about extraterrestrial activity on the Moon and attempted to hide that information. He’s not the only one to make such an assertion. “Read the books, read the lore, start to understand what has really been going on, because there is no doubt that we are being visited. . . . The universe that we live in is much more wondrous, exciting, complex and far reaching than we were ever able to know up to this point in time. . . . [Mankind has long wondered if we’re] alone in the universe. [But] only in our period do we really have evidence. 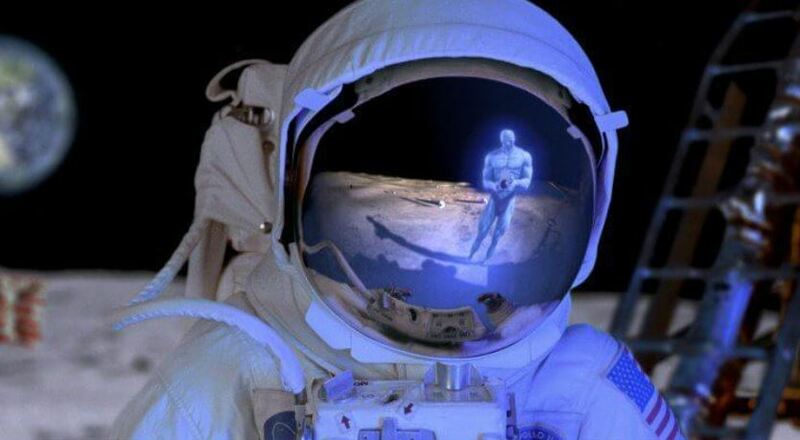 No, we’re not alone.” – Dr. Edgar Mitchell, ScD., NASA astronaut (6th man to walk on the moon) Here is a clip of NASA astronaut Dr. Brian O’Leary saying the same thing. Leonard is not the only NASA scientist to say some strange things about the Moon. Recently, a plasma scientist by the name of Dr. John Brandenburg said the same thing. He was the Deputy Manager of the Clementine Mission to the Moon, which was part of a joint space project between the Ballistic Missile Defense Organization (BMDO) and NASA. 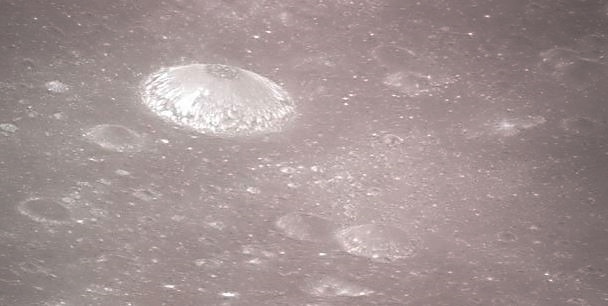 The mission discovered water at the Moon’s poles in 1994. . It was (the Clementine Mission) a photo reconnaissance mission basically to check out if someone was building bases on the moon that we didn’t know about. Were they expanding them? He then went on to state that: Of all the pictures I’ve seen from the moon that show possible structures, the most impressive is a picture of a miles wide recto-linear structure. This looked unmistakably artificial, and it shouldn’t be there. As somebody in the space defense community, I look on any such structure on the moon with great concern because it isn’t ours, there’s no way we could have built such a thing. It means someone else is up there. If you were to tell the average person that you think another civilization, advanced enough to have mastered space travel, had been to the Moon before we got there and is possibly still going there, you would, without a doubt, receive some very peculiar looks in return. On the other hand, if that other person were to decide to hear you out, you would probably get their attention pretty quickly. For some, this type of information can be overwhelming, even terrifying, and that’s okay. Many people are not ready to open their minds up to these possibilities, but the truth of the matter is, it’s something we are going to have to confront eventually. We are clearly heading towards the inevitable reality of extraterrestrial contact — that is, if we smarten up and start taking care of our planet to the best of our ability. Perhaps we can make it long enough to realize this future, or maybe it’s coming sooner than we think. That being said, there is a good deal of evidence to suggest that extraterrestrial contact is already happening. NOTE: The middle image is CGI. The others are real. In July, above Cwm Mountain, close to their home, they saw a charcoal-colored triangular shaped craft. It carried no markings but made a low-pitched humming noise as it sped off. 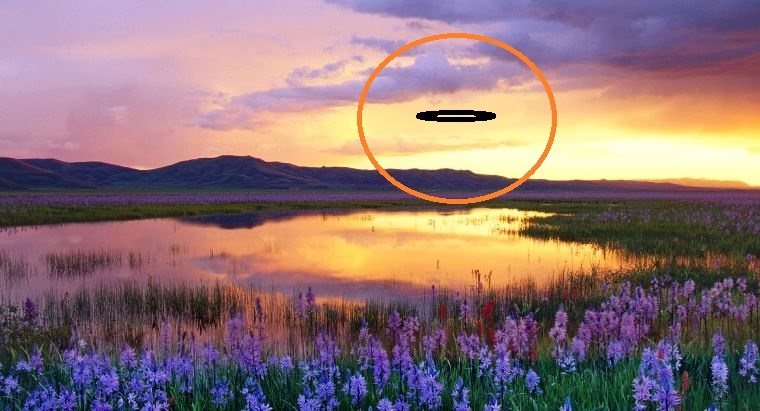 On August 25, also above Cwm Mountain, they again saw an Easter egg-shaped object, this time with what seemed to be a spherical object suspended beneath it. “It came right overhead, making a very low humming noise and then flew off,” said Robert. “It’s very strange.” said Robert. “We don’t know where to go for the answers.” And Susie said: “We never used to believe in these things but we are seeing them so often that we’ve changed our minds.” NOTE: The above image is CGI. Lon Strickler reports : I received an inquiry on Wednesday from an elderly woman in the Phoenix suburb of Surprise, Arizona. She witnessed 2 humanoid beings standing outside her bedroom window a few days before Christmas 2015. The following report includes most of the information from the incident…though there are a few personal notes that I have redacted. I called and talked to the witness Thursday night in an attempt to gather more details. I am presenting this case to the readers and other investigators as a means of gathering additional data and knowledge about these beings. The witness was extremely alarmed by the incident and she is desperately seeking answers. Around 12-21-2015, I woke up about 1:30 am. I glanced out my bedroom window, and this is what I saw: Two gray short people like figures with cone heads. The tallest stood there approx., 4 ft tall, and the smallest one about 3 ft stood directly in front of the taller one. They just stood motionless. I looked, then looked again, as I have never seen anything like this EVER! I set on the edge of my bed and I just kept looking at them. They didn’t move. Neither one of them had facial features at all. It appeared to me they had something over their heads to hide their appearance. I didn’t let my dog out, as I didn’t know what could happen. I laid back down in bed, I went to sleep! I didn’t awake until the next morning 8:30 am. 7 HOURS? I called the police a week or so later. They just told me to go to the ER or to call the Crisis Ctr., then they wrote down the tele# of Crisis Ctr., and they left my home. About a week later I went to my church, the priest didn’t believe me, or didn’t want to discuss, this alien encounter! I have done a lot of research online, and these Greys, with cone heads have been seen before, and are described as I have described them. I have never believed in UFO’s or Paranormal sightings, or have I ever viewed any web site on my computer until after I encountered these 2 Grey little people looking in to my bedroom window.This was not a dream! I was completely awake! No medicine I take has any side effects, that would cause me to hallucinate! I am a senior citizen, I am living alone. This has scared me. They have not come back! I worry that they might come back. I have so many questions. I also called CH 113 EWTN TV. The person I talked to at EWTN didn’t believe me and did not want to discuss the matter. Please e-mail me. I have not told my friends or family. Please help me with answers I have. I pray daily that I never see them again! I called the witnessed and received more specific details…though most of it was personal. 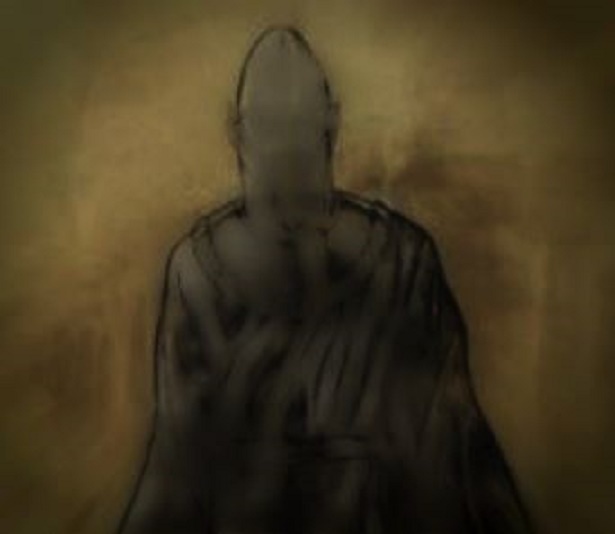 She did state that these beings wore full-length cloaks that were the same color (grayish-brown) of the cone-like covering over the head and face. The cone was more like a helmet. She also stated that she never sleeps more than 3 hours without waking…but she slept for an uninterrupted 7 hours, which she states she has never done before or since. 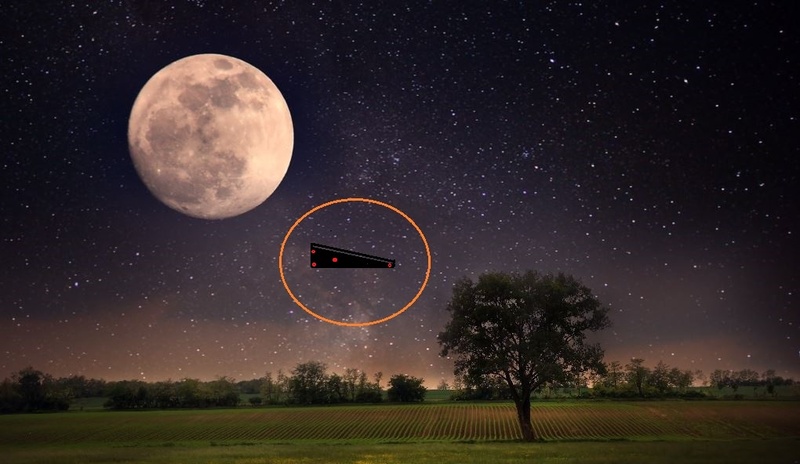 There was a NUFORC reported UFO sighting over Surprise, AZ the same night of the encounter: Duration:10 seconds – A blue oval light shot over the house behind a tree then shot back the same way it came from behind a tree line it happened so fast. After receiving the additional details, I came up with one possibility…though I would appreciate other theories. In some respects, these beings remind me of the descriptions for the ‘Teros’ species…a supposed Earth underground dwelling race of humanoids with cone-shaped heads. They do have human-like facial features, so this may have been a face covering of some type. They are also referred to as ‘Sunaynans’…’The Yearly Ones,’ an ancient race that appears at a certain time of the year. Some of the early native people of North America made reference to them…mostly in the desert Southwest. So this sighting does kind of parallel the legends since this occurred in Arizona. Once again, any information that can be provided to me would be appreciated. Lon Strickler NOTE: The above image is the witness rendering. I was sitting on my apartment balcony after dinner and having half a cigarette, messing around on my iPhone and occasionally looking up at the stars. I can’t remember how it came to my attention but I noticed the first bright object and suddenly realized it didn’t look like any kind of known air craft or anything, so I immediately turned the video filming function on my phone to film it. I started filming it and after a minute or so I believe, I decided to grab my husband inside to tell him to come watch it with me. (Everything said is in the video.) He came out to watch it with me and my two sons (ages 8 and 12) came out as well to watch. You can hear them all commenting during the video. Unfortunately my iPhone completely sucked at capturing how bright these objects were, and didn’t even pick them up at the end.. But I still couldn’t help but film it because it was so odd looking. So first I saw the one object glowing very brightly, and then a second object came up near it. They both seemed to pulsate I guess would be the right word. They didn’t seem to be following general laws of gravity or propulsion… Quick redirects, slight morphing of shape, extremely quick movements and then hovers. A third object was visible for a brief moment but quickly disappeared near where the others first showed. We lost sight of them because they simply disappeared into thin air They seemed to pulse out. They looked like they were made of fire but not burning in a fire way.. Almost like a glowing coal or something. It’s very difficult to explain. They were completely silent and behind some very tall fir trees for a good portion of the sighting. It was hard to tell how far away they were or how large they were. Their apparent size was a tiny bit smaller than a pea. They seemed to glow a different shade of reddish orange inside the center of the darker outer glowing shade. But I could not identify any structural details aside from the illusion of a spherical shape that slightly morphed several times into a less perfect sphere shape. I felt excited to see these things and my sons and husband were very interested as well. We were interested in what they may be but none of us have any idea other than “ufo’s”. The witness was driving her husband, who finished work at midnight, and her baby daughter from their home in Wagga Wagga to her parent’s home at Jamberoo, near Kiama, for the weekend. Shortly after leaving Wagga on the Hume Hwy with her husband and baby asleep, a large brightly luminous disc shape UFO appeared in the sky ahead of her at an estimated 300-400 metres distance. The object stayed in this position while she drove approx. 120 km., disappearing as she went through towns, and appearing again on the other side of the town. It mostly stayed relatively still but occasionally shot off at great speed to the left or right only to return seconds later to the same position. The object disappeared just north of Goulburn as the dawn was lightening the sky. It rapidly gained altitude until out of sight in seconds. There was no interference with the normal operation of the car , according to the witness and the amount of traffic she remembers was normal for that time of morning. Supposedly after having great difficulty waking her husband at one point, he glanced at the object , mumbled “yeah yeah” and was immediately asleep again. 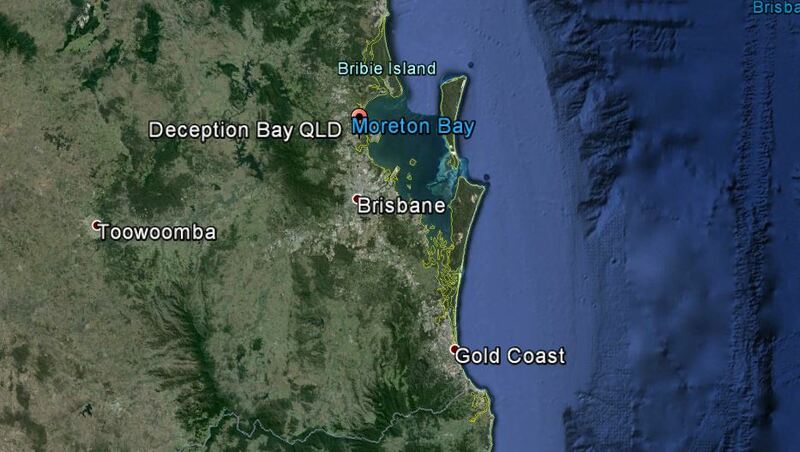 Normally on this trip she would stop at Yass for an hour’s break for coffee and arrive at Jamberoo at about 7- 7.30am. This time, on arrival she was genuinely surprised to find the trip had taken 1.5 to 2 hours longer than normal, even without the break at Yass. No subsequent sickness or body markings were noticed and as the witness suspected no abduction at that time no further investigation was undertaken until reported to Paradox in 1997. REPORT STATUS. Celestial records show no planet, star or even the moon, which could have explained the sighting. The lack of reaction from other traffic could indicate the phenomenon was a purely subjective one, however, until further evidence is forthcoming the case will remain as UNEXPLAINED. NOTE: The above image is a rendering.